Galbraith provides a variety of commercial design and build services to clients in the Winchester, Virginia area. 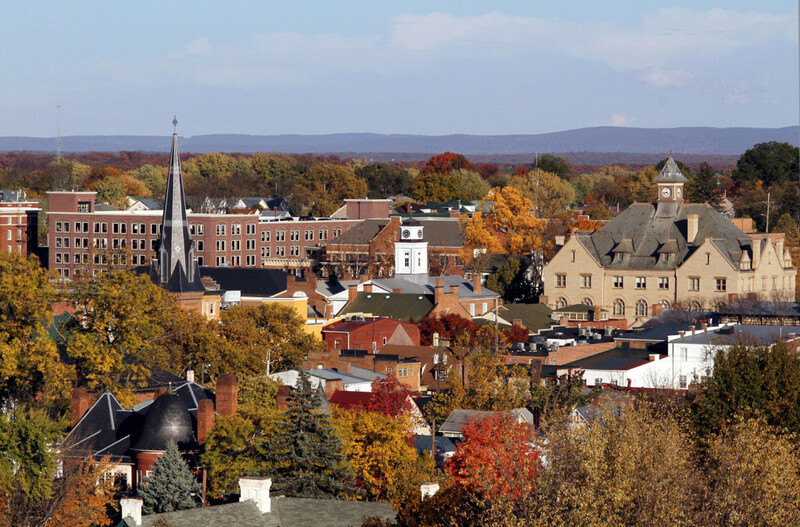 Located at the top of Virginia’s Shenandoah Valley, Winchester is an Independent City in the northwestern portion of the Commonwealth of Virginia. Winchester boasts 270 acres of beautiful parkland, unique architecture and mountain views, with all the conveniences of a big city. It has a population of approximately 26,000 residents and it is the oldest Virginia city west of the Blue Ridge Mountains. Old Town Winchester, a vital marketplace for more than 250 years, is located in the heart of a 45-block National Register Historic District. It features a quaint pedestrian walking mall bursting with outdoor cafes, specialty retail shops, historic attractions, and family-oriented activities. A visit to Old Town Winchester wouldn’t be complete without a stop at one of the museums located in the historic district, like the Stonewall Jackson’s Headquarters Museum. This Virginia and National Historic Landmark was used as headquarters by General Thomas Jonathan “Stonewall” Jackson during the winter of 1861-1862. In addition, you can visit George Washington’s Office Museum, the Old Courthouse Civil War Museum, and the Shenandoah Valley Discovery Museum, all located within a comfortable walking distance of each other. At Galbraith, we pride ourselves on our customer service. Too often, commercial contractors or designers will take a cookie-cutter approach to their projects and use cheap materials or outsource work to unqualified subcontractors. We believe that every project should be tailored to the owner’s goals and specifications without cutting corners. Our wide breadth of project experience and specialty expertise lets us assist our clients in the Winchester area with land acquisition and site development, planning and design, tax abatement and financing and adhering to regulatory guidelines and local stipulations, all while finishing our projects on time and on budget. Our team of experts focuses on preventative problem solving and proactively managing projects so we minimize potential issues, project change orders, and unforeseen costs. Most of the work we do for our clients is completed in occupied buildings or public environments. Because of this, complying with every single safety standard throughout the project is an essential piece in our building process. In addition to this, we also use daily and weekly checklists. These checklists help our professionals ensure that every job site is cleaned appropriately and is hazard-free. This is just another way we provide our clients with complete satisfaction. At Galbraith, we not only provide our clients with high-quality design and construction services, we also incorporate only the very best products into all our projects. NCI Building Systems, Inc. (NCI), is composed of a wide selection of companies who all design, manufacture and sell the highest quality in metal components, metal coatings, and custom metal building systems for commercial construction projects. We are part of their professional network, and as a result, our clients have access to their premium products. Contact us today for your initial consultation so we can discuss your project and understand your plans. We will schedule a time to meet with you, discuss your ideas, and then design and build the perfect building for your specific business needs. With Galbraith, you always receive a job that is completed to your full satisfaction, within your established budget.